We asked women in their 40s, 50s, 60s, 70s, and 80s to write short personal essays answering the question, What does aging gracefully mean to you? Each one is a window into the mental and physical lives of women as they grow older. This essay is by 69-year-old Suzi Grant, a UK blogger with a fun style and a great attitude. Watch for more submissions all this month and submit your own to allison@thefinelinemag.com. Most of us, nowadays, are healthy and fit, we’re just aging. After all, there’s no alternative is there? We either die young or grow old. There’s no other option! That’s why I don’t like or use the phrase anti-aging. We’re anti-war, anti-homelessness, anti-poverty. Why on earth would we want to be anti-aging?! I started my blog, Alternative Ageing, at the age of 64 to find a creative outlet. I didn’t want to spend my third age watching daytime TV, but I also didn’t want a full-time job. Little did I know how challenging my new hobby would turn out to be. I had to learn how to edit videos, improve my photography, and get on top of social media. I have loved the education, and I’m sure it’s kept my brain from deteriorating. I don’t forget words half as much as I used to, and I’ve proved that it’s never too late to blog. Age is just a number, and I do tend to act my shoe size rather than my age. There’s no reason to act in a way that reflects the number of candles on your birthday cake. Four years on, I am proud to say it’s gone amazingly well, and my following on Instagram (call me InstaGran!) surprises everyone (and half of my followers are under 35). 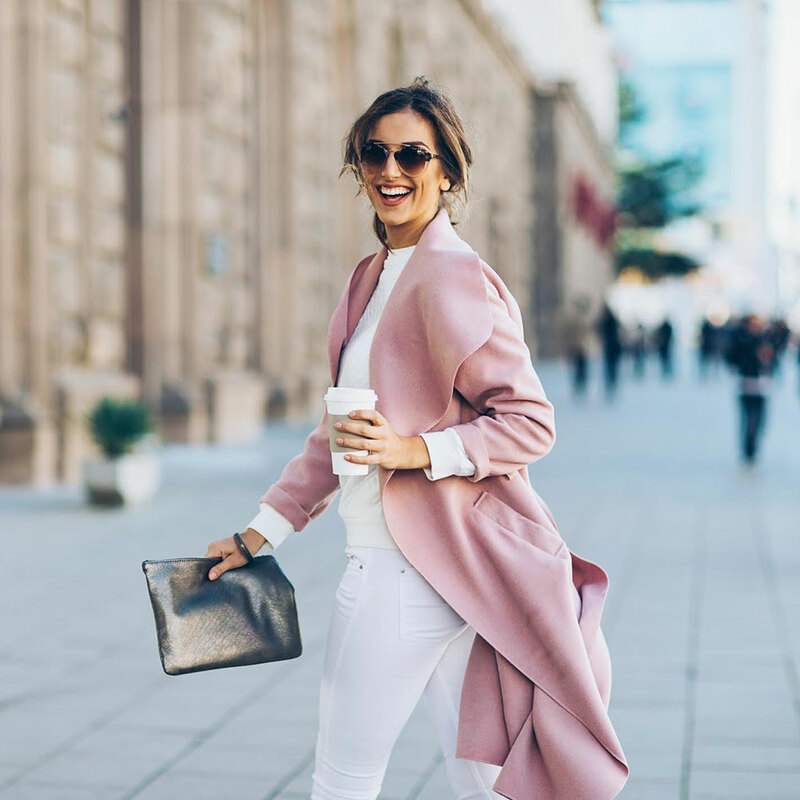 The mix of fashion, health, and lifestyle on the blog encourages like-minded women all over the world to be the very best they can be. And that’s my passion: to inspire anyone at any age to stay healthy and relevant. There’s nothing like a new passion to keep you young. Age is just a number, and I do tend to act my shoe size rather than my age. There’s no reason to act in a way that reflects the number of candles on your birthday cake. There’s absolutely no reason your passions and interests should change as you grow older. That’s what ageing gracefully means to me: Never letting age hold me back from doing what I love most, whether it’s dancing at a festival or dressing up for a lunch with my girlfriends. We are a special tribe, us baby boomers. We’re embracing our age and showing the world that we can still look stylish, have fun, and enjoy adventures. I felt invisible at 50, but I don’t now. I’ve grabbed life by the balls and reckon I’m aging gracefully — and sometimes disgracefully! Hopefully, I will keep going as long as the wonderful Iris Apfel and not give a damn about all those milestones, growing old positively, naturally, and happily. Read Suzi Grant’s blog, Alternative Ageing, and follow her on Instagram.